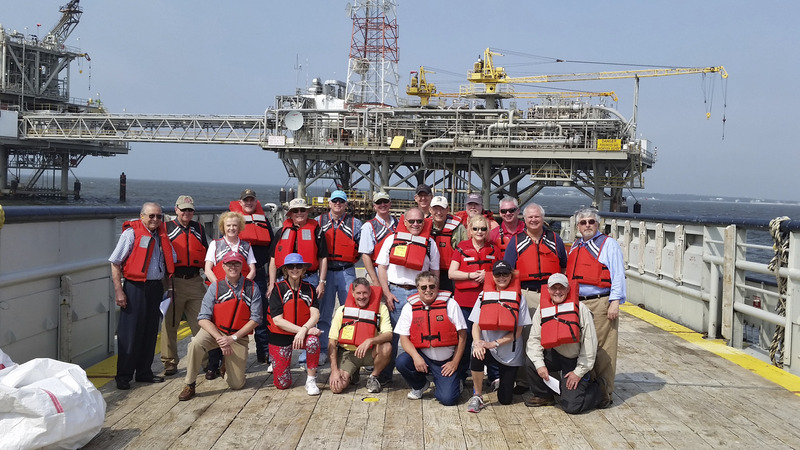 Field trip during spring 2015 meeting in Mobile, AL. The Geological Sciences Advisory Board (GSAB) was founded in 2002 and includes alumni, corporate, governmental and community members. The GSAB supports students, faculty and staff in the Department of Geological Sciences at The University of Alabama. The Board also serves as a liaison with the business community and government in order to promote the interests of the Department within The University of Alabama, the state and nation. A primary goal is to help recruit and retain talented, competent, motivated students and faculty. This is accomplished by providing scholarships, employment opportunities for students, and support to retain talented faculty. To date (2016), the GSAB has raised and awarded >$300,000 in scholarships that have supported more than 250 geology students. GSAB members have endowed three scholarship funds valued at more than $1.5 million in current and pledged gifts. GSAB Field trip to the Wetumpka impact crater during the spring 2014 meeting. The GSAB holds two meetings each year. In the fall, the GSAB meet at the UA campus on a Monday following a home football game. 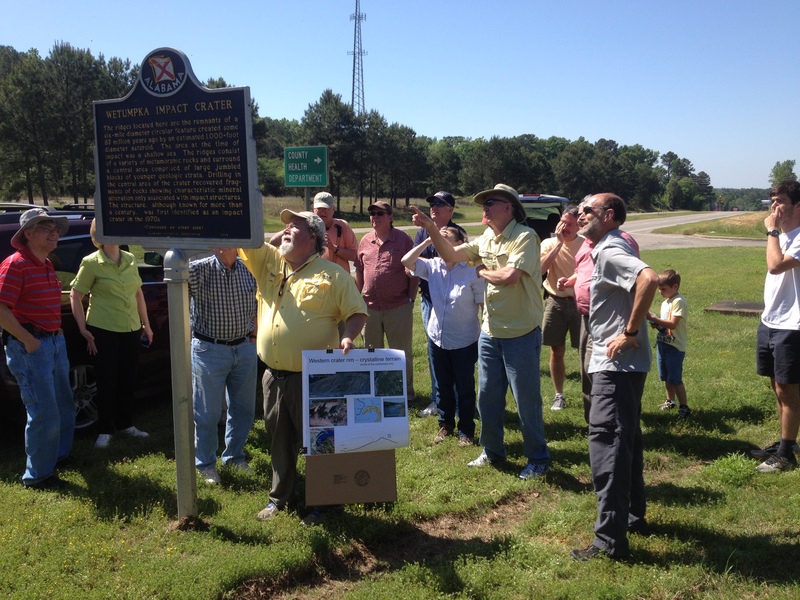 In the spring, the GSAB meet at a location where Department of Geological Sciences research is taking place or a city where there is a concentration of Alabama alumni. These meetings are well attended by members, faculty and students. Time is always provided for social events and field trips. Annual membership dues for the GSAB is $500. Recent graduate dues are $250. These funds go directly to support and help students. Corporate matching or other employer sponsorship is encouraged and welcomed. In addition, the GSAB members are continually raising funds for the Doug Jones, Gary Hook, and Tom Joiner Endowed Scholarships. Students can apply for those scholarships here. If you have questions or would like to discuss the GSAB and the Department of Geological Sciences, please write Dr. Fred Andrus (fandrus@ua.edu), or call (205) 348-5095.